← How bad is Spain’s Infrastructure? Some may admire the church. Some may derive joy from watching the playing children. I was most taken with the sky. 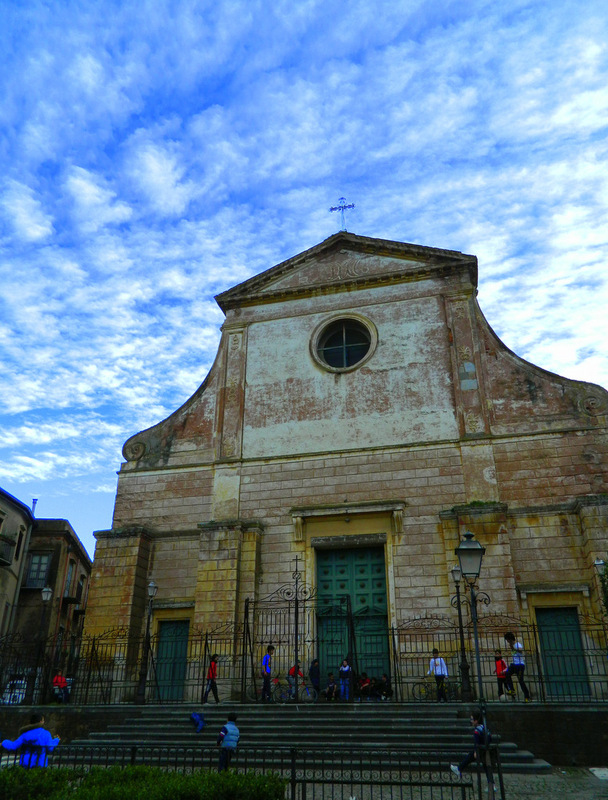 The church is Matrice Nuova in Castelbuono, a beautiful little town in the hills in Sicily. This entry was posted in Italy, Photography, Sicily, Travel and tagged Castelbuono. Bookmark the permalink. 4 Responses to What a Sky! The sky seems bluer than normal, could the reflected sunlight of the Med sea cause that I wonder.. lovely shot either way! I have no idea how this works, to be honest. I actually thought the sea reflects the sky, not the other way round. It was a day with lots of weather changes and crazy cloud formations. This one was taken on the same day, a few hours before. Oh yes I enjoyed that wierd cloud formation, super shots all round.